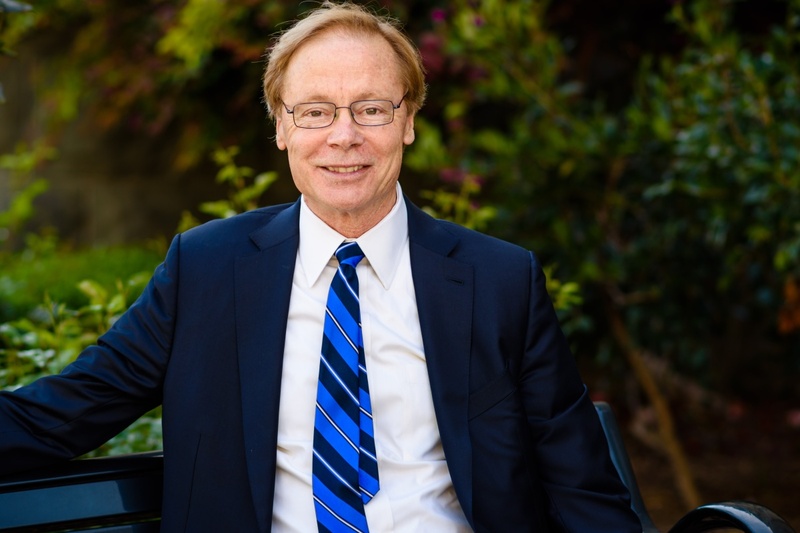 Charles M. Riffle has been practicing law in San Mateo County for forty years. He graduated from the University of San Francisco in 1969, and the University of San Francisco School of Law in 1972. While in law school, he had an article published in the U.S.F. Law Review, and later served as the Book Review Editor of the Law Review. At graduation, the faculty nominated him to be a member of the McAuliffe Honor Society as a result of his academic achievements. Following graduation, he was hired as an associate at the law firm of Currie, Lebsack, Hannig, and Costello in Redwood City, and later became a partner at that firm. Following absorption of many of the lawyers of Currie, Lebsack by Ropers, Majeski, Kohn, Bentley, Wagner and Kane, he became a partner at Ropers, Majeski. In 1990, he left Ropers to become a founding shareholder at Aaron, Riechert, Carpol & Riffle, APC. While Mr. Riffle has been a Certified Specialist in Estate Planning, Trust, and Probate Law for many years, he has continued to practice both family law (emphasizing mediation and collaborative law) and corporate law. He has been an active writer and speaker in the areas of conservatorships, probate, and family law. He is the author of “Representing the Conservatee in a Contested Probate Conservatorship Proceeding” published in the October 1993 Probate News and the co-author of “When Death and Divorce Collide” published in the Spring 2005 California Trusts and Estates Quarterly. “When Death and Divorce Collide” is based on a program he originally conceived for and presented to the 1998 San Francisco Trust Forum, and continues to give to lawyers and paralegals throughout California. Mr. Riffle is also co-author of “The High Risk Will: When Planning and Litigation Collide” in the Winter 2008 California Trusts and Estates Quarterly, “Incapacity Issues in Family Law and Probate Proceedings” in the 2011 C.E.B. book entitled “Crossover Issues in Estate Planning and Family Law“, and “Quasi-Judicial Immunity in Conservatorships: A Guide for Conservators and Their Counsel in the California Trusts and Estates Quarterly, Volume 22, Issue 2, 2016. Mr. Riffle has spent much of his professional career in service to the public and lawyers of San Mateo County. He served as president of the Legal Aid Society of San Mateo County, the Center for Domestic Violence Prevention, and the Redwood City Senior Baseball League (ages 13 to 15). He also served as president of the San Mateo County Bar Association in 1999. While serving as vice president and then president of the Bar Association, he spearheaded the bar association’s sponsorship of a children’s waiting room at the Courthouse. He is also a past chair of both the family law and probate sections of the San Mateo County Bar Association.